I am not really one to enter competitions to be honest. I am a little cynical of the process and know people who shoot specifically for competitions. I had completely forgotten I had entered one of my photographs from the "Nightfall" series on a whim several months ago. I was pleasently surprised when this image received a commendation in the Professional Photography category. Well it is that time of year and, I am heading back to a place I have very fond memories of. Japan! Land of the Rising Sun...This is a pleasure trip this time so I am traveling very light photographically speaking for me. My partner is traveling with me so it is a little unfair of me to expect her to go through the sometimes hours of shooting that I would normally do. It is always nice to be appreciated for the skill, experience and professional business practice that you bring to the table when quoting on work. It is also great to receive support from other local businesses who value the work of an Accredited Professional Photographer. They know that a true professional will deliver...No matter what, no excuses! So in the spirit of supporting local professionals. Head over to McLeods Painting. They are a new start up in Cairns. They are locals and true professionals. If you need some painting done give them a call or ask the kid next door to paint your house for $50....I know which one I would choose! 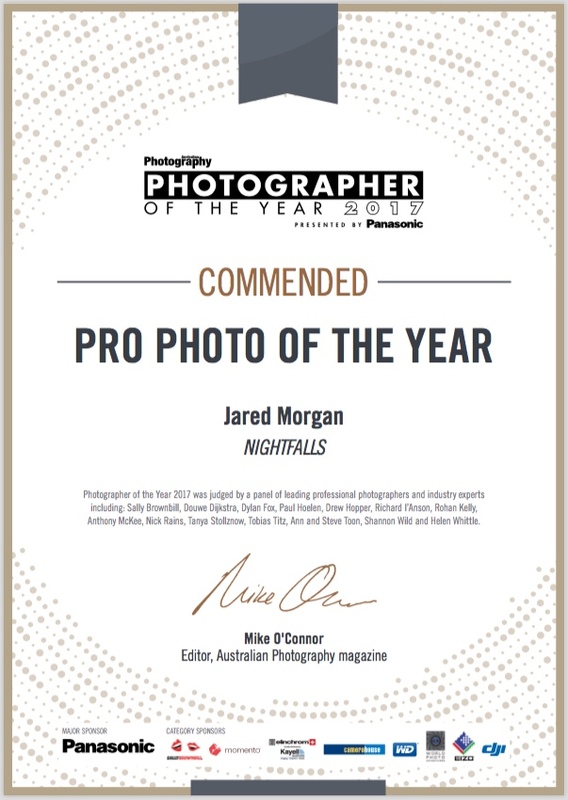 A little over two years ago, I set myself a personal goal of becoming an Accredited Professional Photographer. I can now proudly display the logo as an APP. I have learned many new skills along the way, especially new business skills, so I can better serve my future clients. “Advancements in cameras and shooting techniques over the years have essentially meant that anyone looking to set up as a working photographer could do so very easily. Sadly as a result, many clients have been burned by poor quality work or bad business practice, because they have had no official standards to look for in advance. Certification changes this. Finally we are a recognised profession and the AIPP logo can stand up as a measure of quality and business practice that the public can trust. I’m hugely supportive of the AIPP’s work in the industry and proud that this development helps to raise our profile further." The Australian Institute of Professional Photography (AIPP) is Australia’s leading industry body for professional image makers, and is the only body in the country that offers a formally recognised Accreditation process in order to become an Accredited Member. The group works year round as advocates for the industry to improve the standard of the profession and offers members a range of benefits including development workshops and events, industry publications, business listing services, and ‘peer review’ Once accredited, members can also use AIPP visuals to demonstrate that they have been assessed to a professional standard and abide by a published Code of Professional Practice. Some great advice...Some from yours truly! Over the last 10 weeks you would have seen ten interviews forming series two of Through a Photographer’s Eye. In each interview, we heard from a handful of Australian photographers and how they use Fujifilm X Series cameras to photograph the world around them. 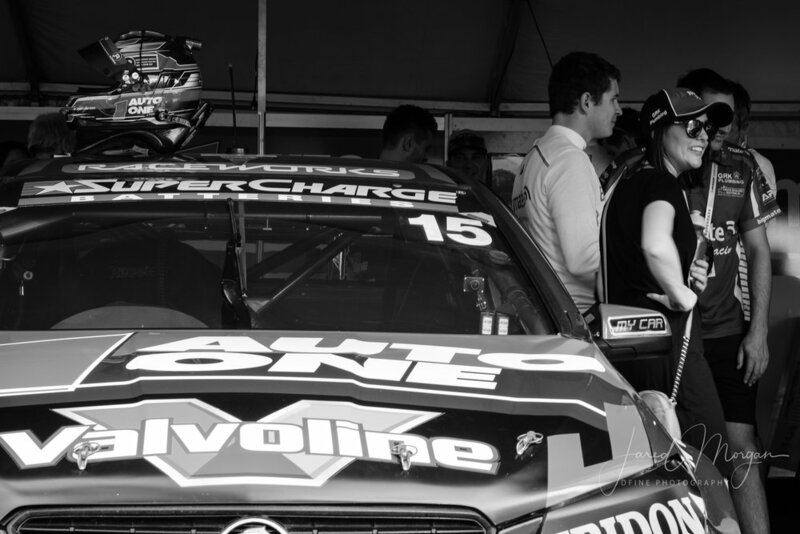 I was lucky enough to be invited down to Townsville V8's this year and to do so in the air-conditioned Coopers Brewery corporate box directly above pit lane! I didn't specificaly go for photography so I took it a little easier than usual and took the opportunity to be a "tourist"...Although I am a Cairns photographer, I spent a large chunk of my life in Townsville, so it was also good to catch up with family. So this here is a mighty little car I was lucky enough to photograph today! This is actually the first time I have been asked to do vehicle photography. I suppose when you are a Cairns photographer you never know what will come your way. I was also very lucky to go for a bit of a 'Fang' in this little blue beast. I know if I owned one my licence wouldn't last long at all!!! 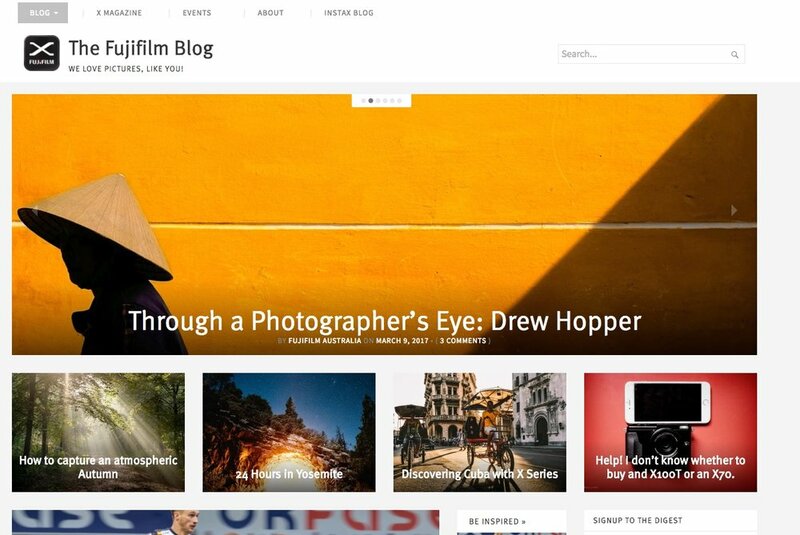 Well let's just say I am a happy little camper...I have been selected as one of the featured photographers in the 2nd series of "Through a photographers eye" published on the Fujifilm Global website. It will be published in about three months and will include an interview with me on Fuji equipment, my photography and some thoughts on photography. No not really. This is my Mums cat stylin' it up for the camera at Christmas time. I had just recently got the Fuji 56mm f1.2 and hadn't really had a chance to play with the lens. I understand why people rave about this lens, even when just taking photos of cats (welcome to the internet) Looking forward to using this lens more in the coming weeks. Day 2 in Kyoto a little bit worse for wear...read here to see how I coped!